This Full Moon occurs at 19:16 GMT on 14 May 2014, when the Sun is in Taurus and the Moon in Scorpio. Both Taurus and Scorpio build up, gather and concentrate energy aimed at empowering creative expression. Taurus stresses the pragmatic, physical and constructive side, while Scorpio emphasises deep emotional and transformational currents, the materia prima of any relevant manifestation. Here intense emotions, covering an ample range of frequencies can easily erupt. These can either be released for the general highest good or directed towards specific practical achievements. The Full Moon in Scorpio is known in the Theravada Buddhist countries of South East Asia as Wesak: the birthday, enlightenment and entry into Nirvana of Buddha. In this respect it is considered as the most powerful Full Moon of the year. It was on the night of the Full Moon in Scorpio that Buddha sat under the Bodhi tree at Buddhagaya and attained total enlightenment. According to esoteric traditions the Buddha returns at this time every year to dispense healing light to the world. Spiritual masters led by the Christ gather in the Wesak Valley, a mythic multidimensional location in the Himalayas, position themselves in a vast pentagram, while the Buddha radiates light. It is believed that during the five-day period of the Full Moon, which includes two days before and after the day of exact Full Moon, direct contact can be established with the Great Masters and the Forces of Light that hold the planet. 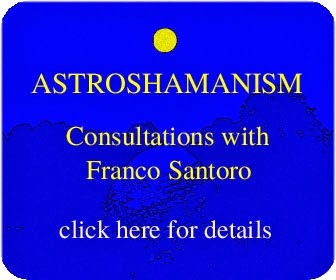 When a sufficient number of people come together, connecting personal with collective history and aligning with luminous intent, this strengthens the foundations for the expansion of human awareness and the reawakening of our multidimensional nature. In this respect all group meditations and rituals, sustained by a clear collective intent and inspired by a healing basic purpose, provide major benefits to the human and general environment. Here any activity can indeed be transformed into a meditation or ritual, especially those involving expression of vast amounts of energy or significant transformational processes, such as eating, going to the bathroom, being sensually involved, etc. What counts, as often as possible, and in any circumstance, is to keep the connection with the web of life, reminding ourselves that no matter what feelings we experience, we are always part of the whole, which means that even though we may appear separate and disconnected, the reality is that we belong to this universe to which we continue to give our precious contribution. Unveiling, understanding and accepting the nature of such contributions involves reawakening our memory, releasing the veil of autistic illusions that keep beating us up and fully embracing what we truly are. On this Full Moon in Scorpio seekers throughout the world join in meditation or ritual events, releasing the veil of their limitations and becoming receptive to their multidimensional nature. The day of this Full Moon is known as the Day of Safeguarding, which involves holding the energy generated by the alignment with our multidimensional nature. The two days following the Full Moon are called the Days of Distribution, implying passing on the accumulated energy to the web of life. 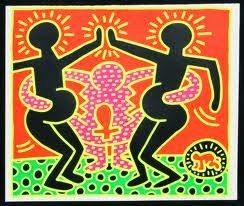 Image: by Keith Haring, born on a Full Moon in Scorpio, Sun in Taurus, Moon in Scorpio, Ascendant in Leo, American artist.